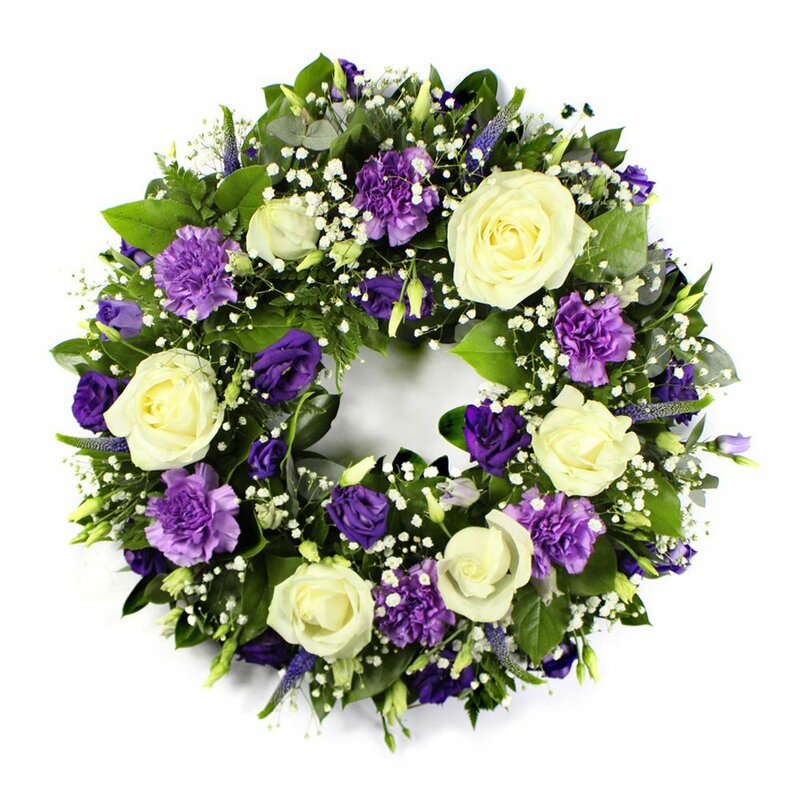 Classic Wreath in Purple & White flowers including white roses, purple carnations, purple lisianthus and gypsophila. Flowerscene deliver flowers in Aberdeen and surrounding areas. If preferred this wreath is available for collection from our shop.